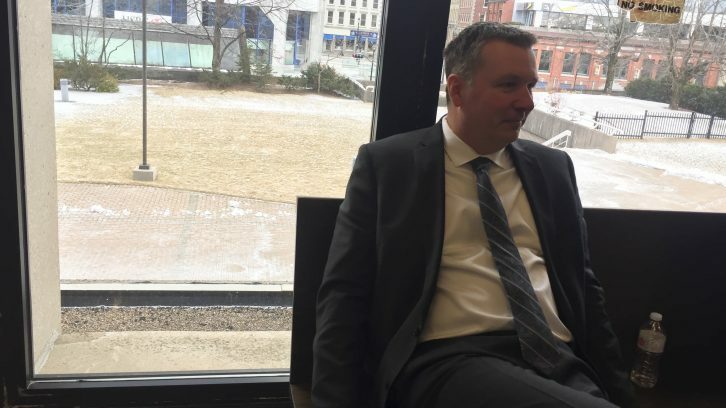 A former RCMP officer accused of taking 10 kilograms of cocaine from an exhibit locker in 2011 was questioned about $20,000 in cash payments after his arrest. A video of Craig Robert Burnett’s first in-custody interview from August 2016 was shown in Nova Scotia Supreme Court on Friday. It shows two RCMP investigators presenting their evidence to Burnett. One investigator talks about $20,000 worth of unaccounted cash payments, made over a period of nine months in 2012, to Burnett’s Visa account. “I can explain all that. I’m not going to, but I can,” Burnett is heard saying to the investigators in the video. He then tells them he would prefer to talk about it in court. Crown attorney Glen Scheuer said the dollar figure presented in the video is not necessarily exact. The full interview is 12 hours long, with eight or nine hours of it being presented in court by the Crown as evidence. It is the third interview of Burnett shown to the court since his trial began Jan. 21. The other two were conducted before his arrest. The defence team, led by attorney David J. Bright, has yet to present its case to the court. Burnett has pleaded not guilty to seven charges, including four related to drug theft and trafficking. The judge-only trial is being heard by Justice James L. Chipman. The trial is scheduled to last 23 days.